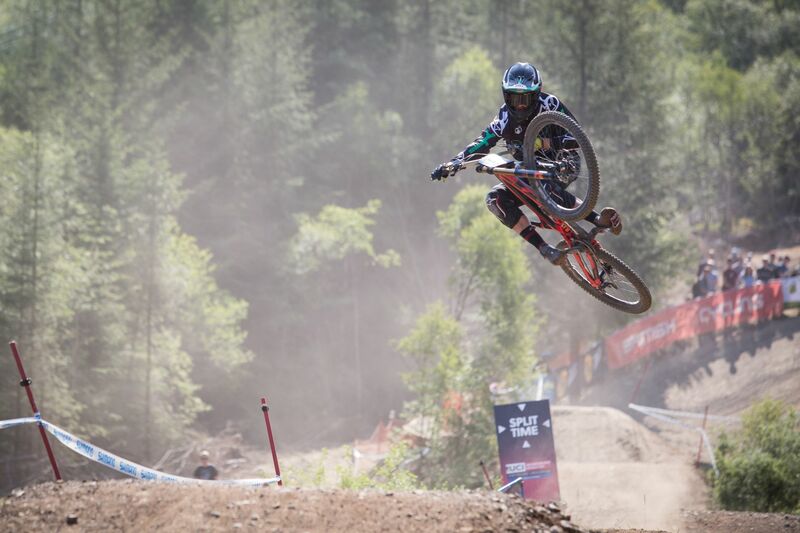 The YT Mob�s Aaron Gwin made a small error in qualifying and finished 3rd on Saturday but was ahead of his main series rivals heading into Sunday�s final. Starting 3rd last and with eventual race winner Greg Minnaar already sitting in the hot seat with a 4m 35secs run, Aaron hit the final split in 4th place but powered along the famous motorway flat out to bring back two spots, finishing in 2nd place on his YT TUES. Fastest qualifier Gee Atherton had a loose run that eventually saw him crash out. Aaron is the only rider to podium all three rounds this year and consequently has extended his lead out to nearly 60 points over Australian Troy Brosnan, and nearly 200 points over Danny Hart in 3rd. Angel Suarez showed great pace as he moved quickly to put the issues of the first 2 rounds behind him. His qualifying was solid in 42nd place, but on three sectors he was in the top 15. Same again on race day showing top 15 pace in more than half his run, but an error in sector 1 costing him 4secs. Overall the place of 37th is a great way to open his World Cup account for 2016 and earn a top 80 number plate for the next race. The team heads to the Austrian Alps this week for round 4 in Leogang, a race that always produces close and exciting racing for the fans, in the heart of Europe.